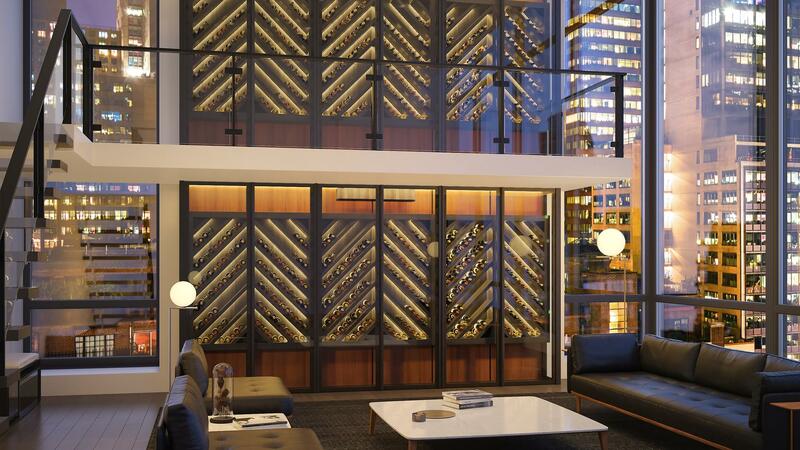 The world’s first glass cellar designed for aging wines with optimal temperature control. As quiet as a laptop, our system operates at the threshold of audibility. Our experts continuously monitor the temperature and humidity of your cellar. Can be installed anywhere : requires no drain, no duct, no refrigerant gas. Time that is required to locate a bottle in your Cellar Reserve through the use of unique stamps. No more in-between! 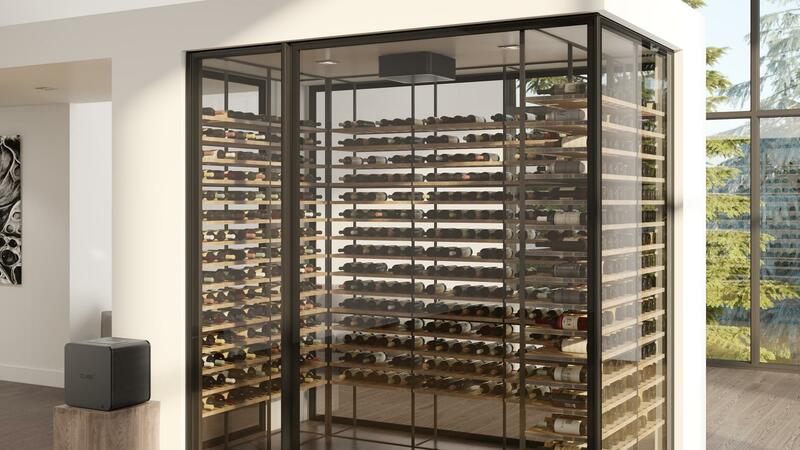 The Wine Square, takes care of sales, installation and maintenance of all the wine cellar innovations we distribute; so you can enjoy your wine cellar worry-free. One must face many technical challenges when creating a home wine cellar. The Wine Square provides the expertise of its certified engineers, thus ensuring perfect wine storage conditions for the years to come. Whether you are thinking of replacing the wine cellar cooling unit or dream of a new wine room altogether, don’t hesitate to contact us. We’ll provide valuable advice to help your project become reality ! The Wine Square guarantees a professional installation that will withstand the test of time. Our engineering experience is involved every step of the way, from design to manufacturing and from delivery to the installation, including our after-sales service. You’ll receive a quote within 24 hours after submitting your request. Don’t wait any longer. Protect your investment TODAY! 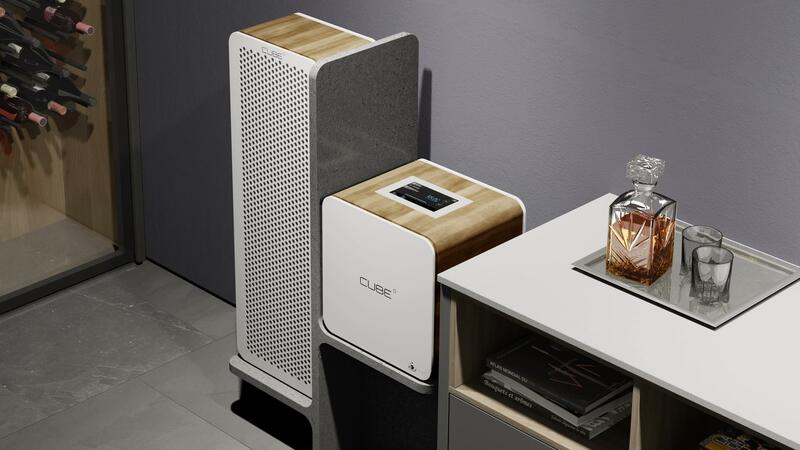 Thanks to its extremely accurate temperature control and the system’s ability to maintain the wine cellar’s natural humidity, the technologies incorporated in The Cube provide unprecedented temperature stability and are worthy of the most authentic maturing wine cellar. 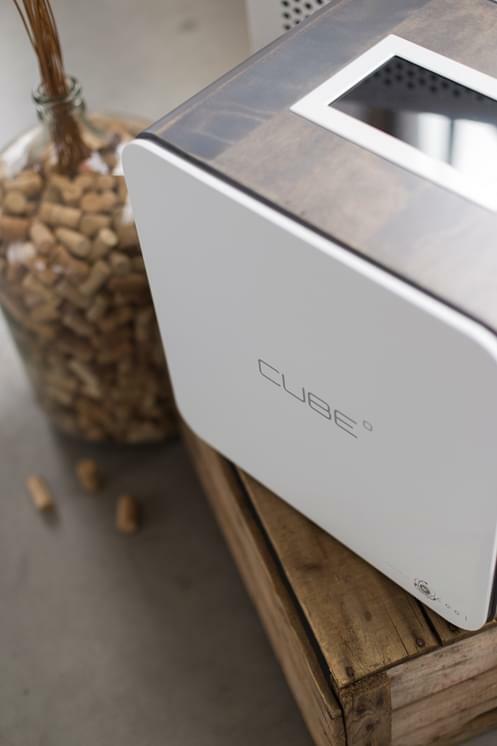 Every minute, The Cube records a detailed history of your wine cellar. This valuable data not only attests to the stability of your wine cellar’s storing conditions, but also plays a crucial role in the remote monitoring performed by our technicians that can intervene effectively should an anomaly occur. During this time, working as an effective barrier against the outside environment, the glass shell of Cavea delivers high-performance storage with maximum protection for every bottle stored. Furthermore, the ALFRED application provides specific information to help you manage your wine cellar and pick the right bottle at the right time. ALFRED literally knows everything about your wine collection: from its exact content, to its worth in real time, the location of every bottle, the wines that have reached their peak and those that need to mature a while longer. ALFRED maintain the inventory of your wine cellar and uses it to wisely guide your choice of wine, your purchases, as well as guiding you in reselling your bottles online. By combining those three cellar innovations when building your wine cellar, you are assured that the storing conditions inside your cellar are equal to those of the most prestigious Châteaux. 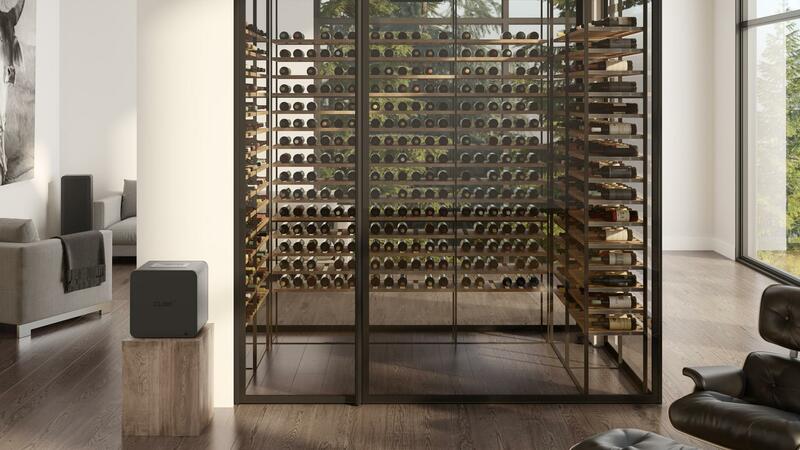 Relax and enjoy your passion for wine, The Cube, ALFRED and Cavea will continuously monitor and provide an updated and dynamic overview of your wine collection. 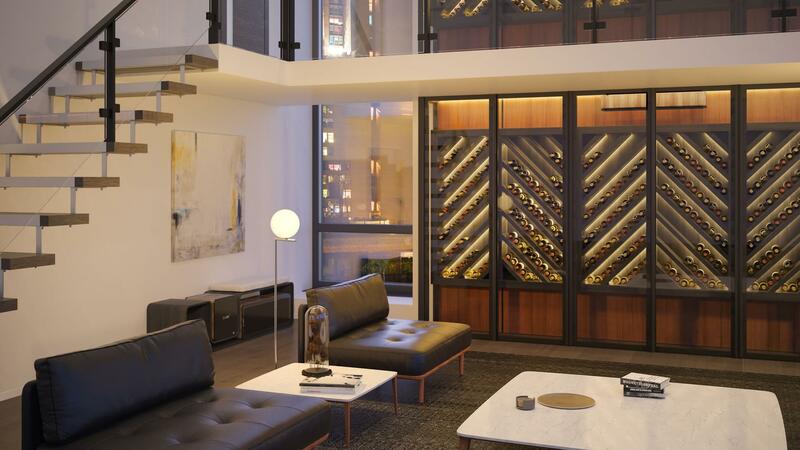 Discover the Ultimate Wine cellar. Discover the most technologically advanced custom-made glass cellar. Have peace of mind with the assurance that your wine bottles are kept in the best environment ever designed. The value of your wine collection highly depends on the quality of the storing conditions found in your wine cellar. A poorly insulated wine cellar along with a temperamental compressor can drastically damage the value of your investment. Don’t jeopardize your cellar temperature and storage conditions. Instead, choose a sustainable wine cellar cooling system that will provide years of peace of mind, while achieving long-term savings. 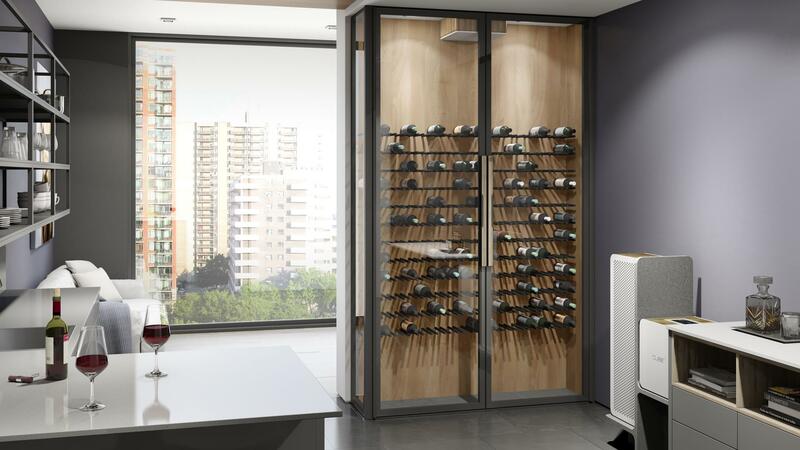 Thanks to the accurate and effective control of the storage conditions of your wine by The Cube, our offer will protect your investment by reducing the risk associated with owning a wine reserve. Protect the value of your investment with TheWineSquare cellar innovations. How to age your wine.